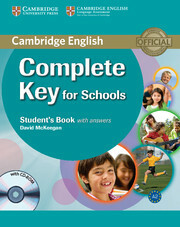 This 32-page test booklet for Italy contains a series of 5 tests, exam tips, information about the Key English Test as well as a list of ESOL coordinators in Italy. 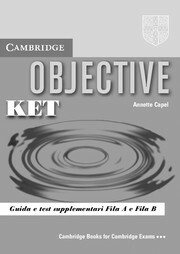 The tests reflect the five cycles in the Objective KET course. Each test will have a corresponding A and B version testing the same content in a different order.